The Vegan Rainbow Project is a project from Daniela and India, and wants to draw attention to and explore interconnections of oppression and enhance visibility for vegan living minorities, whilst at the same time joining forces to work towards liberation for all beings. I did an interview a couple of weeks ago, In December 2018. I talk about my background in academia, and later on working as an educator and policy advisor, and how that has shaped my outlook on veganism and animal rights, how being chronically ill influences my activism, why I feel it is important to address ableism, ageism, body-shaming and fat-shaming in the vegan movement, some points to take into account to become a more inclusive movement with respect to ableism, and some other issues. 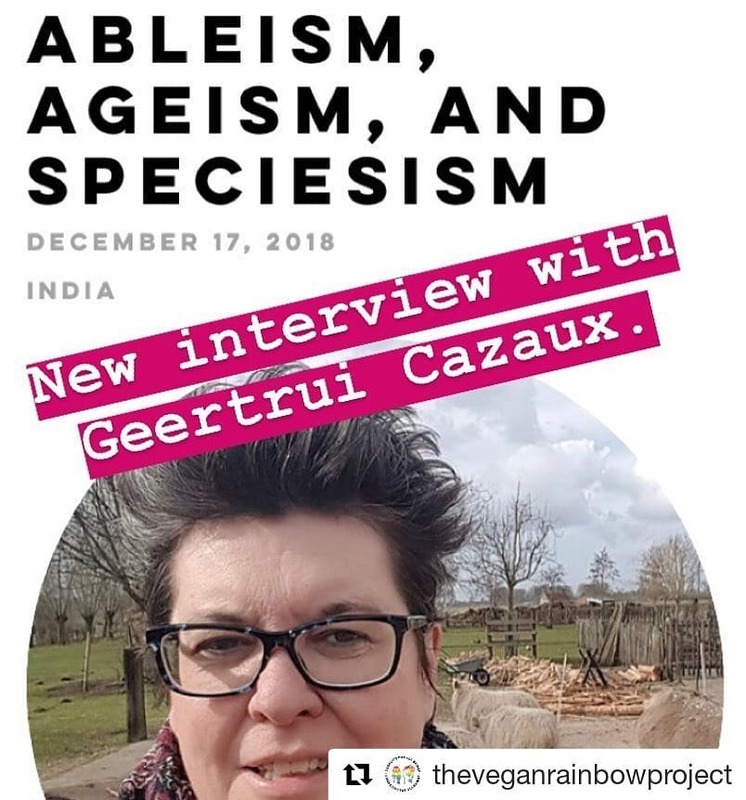 Why we need to talk about ableism, ageism and speciesism. Interview with Geertrui Cazaux.